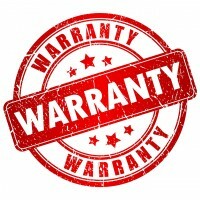 Extended Warranties A warranty is passed through from the new material handling equipment manufacturer on all new equipment purchases and is maintained by factory trained technicians. Warranties on Used Equipment One of the biggest concerns our customers have shared with us is not having the peace of mind of having a warranty – which comes with spending top dollar on new warehouse storage equipment. Unlike most of our competition, we offer extended warehouse equipment warranties with certain pre-owned material handling equipment that is similar to new product warranty protection (some restrictions apply.) Contact us today about used equipment warranties.